Ryu Hayabusa in Super Mario Crossover! New trailer for Super Mario Crossover with Ryu Hayabusa from Ninja Gaiden! I’ve probably played Ninja Gaiden 1 and 2 for most of my adolescent life. This trailer is just too awesome haha. You should play SUPER MARIO CROSSOVER now. 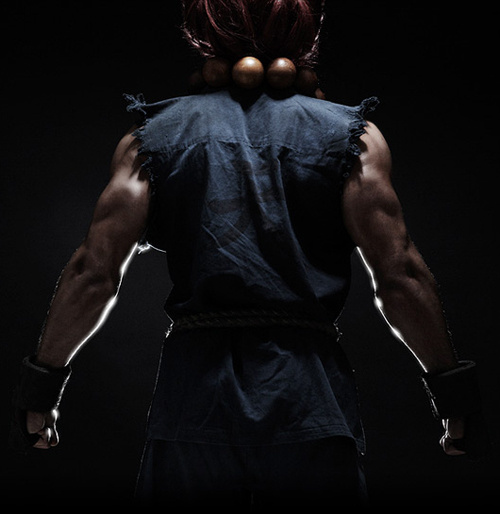 *UPDATED* Fan made Live Action Street Fighter: Good or Bad? - Costume design was pretty well done. A lot of times, you get those standard karate gi’s, but these looked a little more worn and thready, i.e. tough material. - The look, high quality lenses and treatment of the film, FX were better integrated than other fan flicks. - Choice for Ryu was pretty good. - Ken doesn’t look American. - Short. Too short. With all the hype of a short film, was kind of expecting something with substance in terms of story. - This one wasn’t so much bad as it could’ve been done better. Camera angles were a little weak. Could’ve used more dramatic angles for some of the punches, grabs, and specials. - Character motivation is questionable. Ryu already knocks Ken down and then decides to finish him off with a fireball? During a sparring match? Does that make sense for Ryu’s character? - Build up of the fight could’ve been better, more specifically, after seeing all the special moves and whatnot, we end the sequence with a standard jump kick that has less impact than the rest of the sequences. Don’t get me wrong, I enjoyed it. It has a lot of good things going for it. But I would say I enjoyed the other one with less cooler looking actors just as much. What do you think? For more info, click on Akuma below! Just a day before the Street Fighter Legacy fan film debuts, here we find another fan film. The actors don’t look much like the characters(Ken’s wig is super obvious) and they aren’t nearly muscular enough(I’m starting to think that the only way to actually pull off a Street Fighter movie is to make it a CGI film), but they can fight and the choreography is done really well. FX are a little cheeseball, but hey, it’s very well intentioned and the little nods to things like focus attacks are fun. Well done guys! The first vid in my series of video quick sketches. Ryu from Street Fighter. You are currently browsing the Videos category at Vostalgic.